For sale: Three slightly used coalmines in B.C. 's Peace region. Beleaguered American coal minerWalter Energy Inc. (TSX: WLT) announced January 15 it is putting three of its idled B.C. coalmines up for sale as part of bankruptcy proceedings. It’s just the latest casualty in a prolonged commodities bear market that has put even stalwarts like Teck Resources (TSX:TCK.B) – B.C.’s largest mining company – in a precarious spot. Walter Energy’s three coalmines in Chetwynd and Tumbler Ridge were shut down and placed in care and maintenance between 2014 and 2015. The company entered chapter 11 bankruptcy protection in the U.S. in 2015 and sought creditor protection in Canada for Walter Energy Canada. As part of a restructuring aimed at paying back its creditors, the company is now selling off mines in B.C. and one anthracite mine in the UK. It has named PJT Partners LP to market the mines. Joe Aldina, a coal analyst with Wood Mackenzie, said he thinks Walter Energy may have trouble finding a buyer. “I'd say it is a risk that Walter doesn't find a party who is either interested or has the financial wherewithal to purchase the company's Peace River assets,” he said. “A buyer would also need to have a fairly long time horizon because it could take a couple of years before prices rise to a level where even Walter's best asset in the Peace River could make an acceptable profit. Under normal circumstances, Teck might be a likely buyer for B.C. metallurgical coalmines, since it already owns four operating coalmines in B.C. – all in the Elk Valley in the Southeast Kootenays. But circumstances are far from normal. A prolonged metallurgical coal glut and low prices have taken its toll on Teck as well. Though diversified, metallurgical coal mining accounts for half of Teck’s business, and one of its other businesses – copper – is not fairing much better in than coal. Markets have been punishing mining companies like Teck, which saw its shares drop to a record low on January 13 to $3.80, before bouncing slightly back up to $4.50 range. To put that in perspective, Teck’s shares topped out at $63.84 per share in January 2011, before met coal prices began their slide from US$300 per tonne to today’s US$90 per tonne. That’s a 93% drop in share value in five years. As Aldina points out, Teck already owns a mine in the Peace region – the Quintette – which it had planned to restart but has put on the back burner, pending a recovery of met coal prices. And it is committed to the Fort Hills oil sands project, in which it has a 20% stake, at a time when oil prices have crashed. 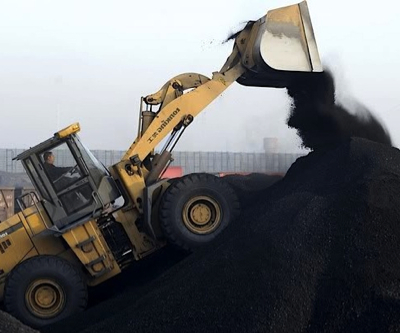 "Teck already owns the Quintette project in the Peace River and so the company would likely develop that asset before looking for an acquisition, even in a better coal market," Aldina told Business in Vancouver. "With Teck's current investments in the Fort Hills project, the company won't be able to make any large investments as ratings agencies are already scrutinizing their levels of net debt to earnings. If the purchase price of Walter's assets was low enough, Teck could be interested, but it seems unlikely."